Mycobacterium tuberculosis. Photo by Janice Carr/Centers for Disease Control and Prevention. Emory University executive director of student health services Mike Huey answers questions about tuberculosis. This first international conference devoted to human immunity to tuberculosis will advance the study of human immunity to Mycobacterium tuberculosis and determine critical areas of focus in TB research. Participants will identify important knowledge gaps and roadblocks to understanding the mechanisms of human immunity to TB and their limitations. Organizers include Drs. Jyothi Rengarajan (Emory Vaccine Center), Joel Ernst (NYU School of Medicine), Willem Hanekom (South African TB Vaccine Initiative and University of Cape Town), Tom Hawn (University of Washington), and Beate Kampmann (Imperial College and Medical Research Council Laboratories, the Gambia). "Tuberculosis is a serious global health problem that causes about two million deaths each year," says Rengarajan. "TB is particularly deadly in combination with HIV and is the leading cause of death in people infected with HIV. 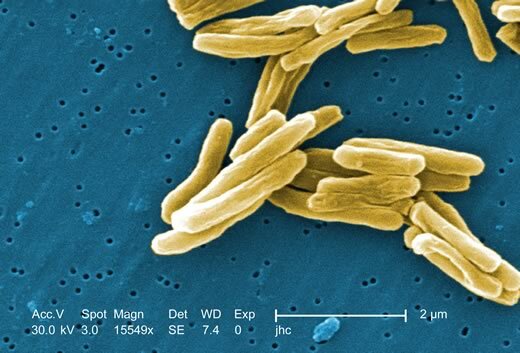 Developing an effective vaccine to prevent TB is clearly an important goal but in order to do that we need to better understand the protective and pathological immune responses against the causative agent in humans, Mycobacterium tuberculosis." One-third of the world’s population is infected with TB, according to the Centers for Disease Control and Prevention, and each year nine million people become sick with the disease, resulting in nearly two million related deaths. In 2010 more than 11,000 cases of TB were reported in the United States. 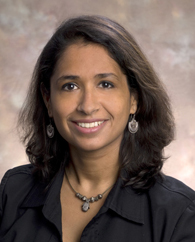 Tuberculosis is an important area of research at the Emory Vaccine Center, where Rengarajan and her group work to understand how M. tuberculosis causes disease as well as how the immune system responds to infection. In collaboration with Susan Ray, MD, associate professor of medicine in Emory University School of Medicine and an infectious disease clinician at Grady Memorial Hospital and the Fulton County Health Departments, they are studying how the immune response is regulated in patients with TB disease and in healthy individuals with latent TB infection. Many people are surprised to learn that Atlanta has approximately new 150 TB cases per year and that the TB rates in Georgia are among the highest in the country, notes Rengarajan. Emory Vaccine Center scientists also will be increasing their research focus on human immunity to TB through international collaborations in South Africa and India. "Our Atlanta conference is very timely in light of rapid growth in interest, facilities, and systems for specific studies of human immune responses to TB," says Rengarajan. "By bringing together investigators with experience in developing and applying novel approaches to studying human immune responses and investigators from regions of high TB incidence, we will promote interactions and enable future collaborations that should have a significant impact on this important field." Conference sponsors include Emory University, the Bill and Melinda Gates Foundation, BD Biosciences, GlaxoSmithKline Biologicals, The Potts Memorial Foundation, Cellestis, the Tuberculosis Vaccine Initiative, Biologend, Oxford Immunotec and the European Respiratory Society.